 K@TE (pronounced "Kate") is the University of Tennessee's comprehensive Learning Management System. To find out more about the UT programs offering training through K@TE and how to create a new account, read through the Programs page. Which login button do I choose? If you are a UT faculty or staff member, you will choose the "UT Faculty and Staff" button on the Home page and will log in using your NetID and password. All external UT customers will log in to K@TE using the "External Customers" button on the Home page. The user name or email address you used when first creating a K@TE account will allow you to log in using this button. To confirm if you have a K@TE account or not, please contact the UT program offering your training or email AskKate@tennessee.edu before creaing a new account. Once logged in to K@TE, browse the course catalog to view all of the in-person and online training courses currently offered or use the Search field to find what else is available. K@TE allows you to easily register and keep track of upcoming and completed courses - all in one system. If you have a question or need assistance, please email AskKate@tennessee.edu. All external customers choose an initial password when first creating an account in K@TE. If you ever forget your password and need to change it, click Options >> My Account >> Options >> Change Password in your K@TE portal. A "Forgot Password" option is also available on the K@TE login page, which generates an email with instructions for resetting your password. If you are a UT faculty or staff member, you will log in to K@TE using your NetID and password. When unsure of your password, instructions for resetting it are below. For all other users, change or reset your password online with the Office of Information Technology (OIT). If you need additional assistance with your NetID and/or password, contact the UT Knoxville OIT Helpdesk at 865-974-9900. For any UT students or UT student employees seeking training, refer to your campus safety office or academic Learning Management System for additional information. Child Protection Training is offered through Employee and Organizational Development, and instructions are available when creating a new K@TE account for UT students, UT student employees, volunteers or contractors requiring this training. Pop-up blockers must be disabled for the K@TE application. Try accessing K@TE from a different Internet browser and/or clearing your browser cache on the browser you are using if an online class will not launch in K@TE. Adobe Acrobat Reader is required to view training completion certificates launched from K@TE. © The University of Tennessee. Questions? Email AskKate@tennessee.edu.